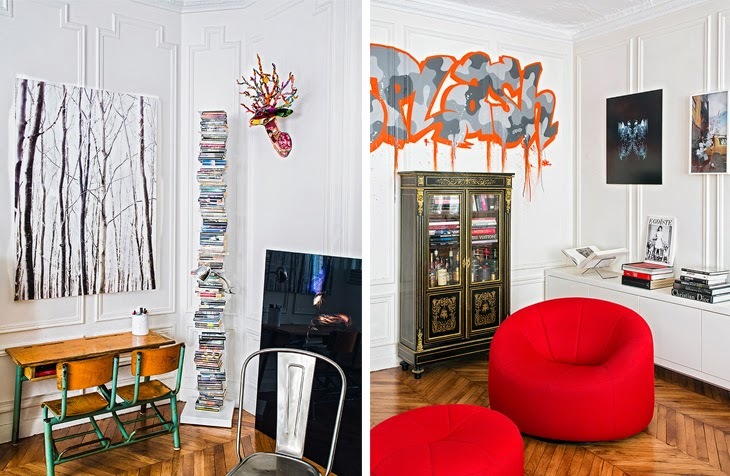 On the first sight, this apartment looks really special. 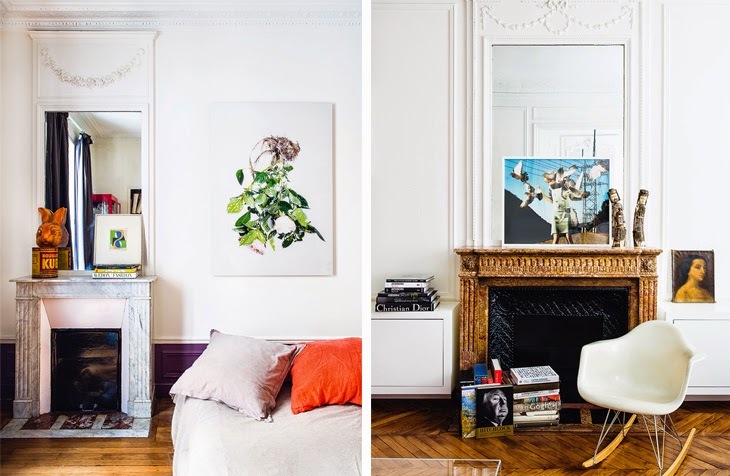 Interior designer Marion Collard helped the owners of this 130 m2 place from 1912 to add a lot of personality and sophisticated style based on their interests. 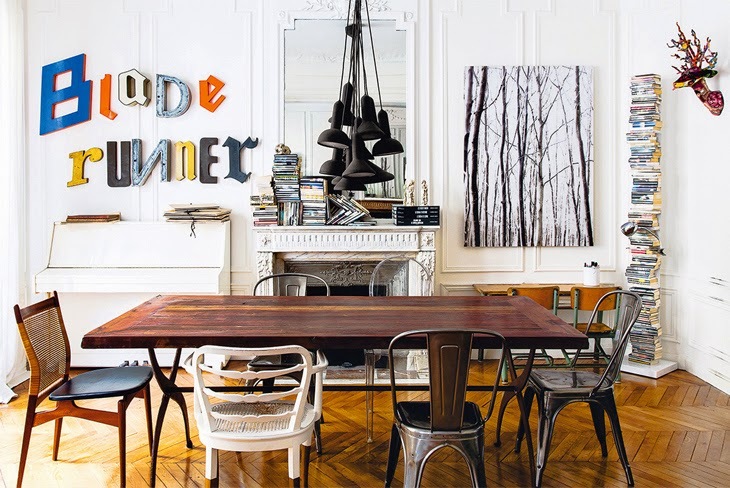 Home is full of fresh design ideas and cool decor often created by various vintage items and also bold use of artwork. 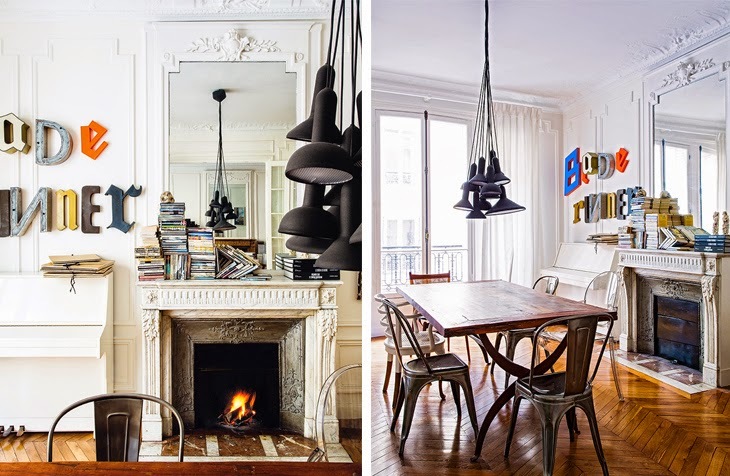 Of course the apartment itself is a wonderful place to start with, I love the old panelling and fireplaces.